Newlyweds Priyanka Chopra and Nick Jonas are making the most of their Caribbean getaway. The couple is on their honeymoon currently after soaking in the beauty of the Swiss Alps ringing in New Year together. 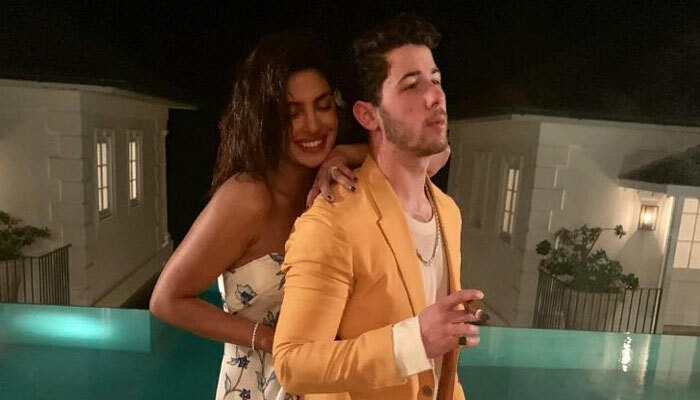 Only two days after pictures of the couple landing in Caribbean took the internet by storm, Nick in a new photo has given a glimpse of their dreamy vacation. The 25-year-old singer posted a video of wifey Priyanka swinging on a rope at the sandy white beach. As reported by an international website, the Caribbean honeymoon was totally a surprise for Priyanka by Nick. A source told the website, “She had no idea it was going to be the Caribbean and Nick is planning everything for the trip, it's all a complete surprise to Priyanka. She knew it was a honeymoon trip but didn't find out where they were going until they landed." Nick also to Instagram to post a loved-up picture alongside Pee Cee where the two stand next to land. He captioned it as: “Mr. & Mrs. Jonas." In a recent interview, Nick revealed interesting details about his relationship with Priyanka. On the work front, Priyanka is expected to resume the shooting schedule of ‘The Sky is Pink’ post honeymoon.